Radio frequency interference can cause the smoke detectors to fail to alert consumers of a fire. Edwards at (800) 655-4497 select option 5, from 8 a.m. to 5:30 p.m. ET Monday through Friday or online at www.edwardsfiresafety.com and click on Contact Us. Interlogix toll-free at (855) 286-8889 select option 2, from 5 a.m. to 5 p.m. PT Monday through Friday or online at www.interlogix.com and click on Customer Service for more information. 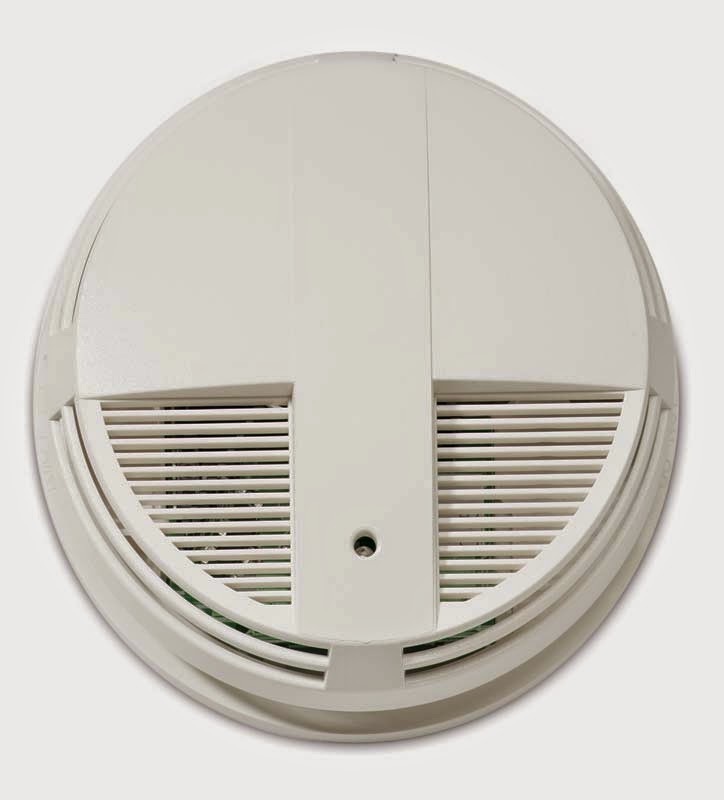 This recall involves thirty-three models of the 400 and 500 series Edwards (ESL)-branded and Interlogix smoke detectors hard-wired into a security system. Edwards and Interlogix smoke detectors are identical. The 2-wire or 4-wire detectors are round, white and measure 6 inches across by 2 inches high. The smoke detectors were made for professional installation and used primarily in commercial buildings, schools, hotels/motels, apartments, dormitories and homes as part of the fire alarm system. Recalled units have date codes 13084 through 14059 with the first two digits representing the year, for example: 13 for 2013 and 14 for 2014; and the last three digits representing the day of the year, for example: 084 is the 84th day of 2013, which is March 25, 2013. The initials ESL, the date code and one of the following model numbers are printed on a label on the back of the detector’s cover and on the product’s packaging. 400 series: 429AT, 429C, 429CAD, 429CRT, 429CST, 429CT, 429CTAD, 449AT, 449C, 449CRT, 449CSRH, 449CSRT, 449CST, 449CSTE, 449CT and 449CTE. 500 Series: 511C, 518C, 521B, 521BXT, 521B-10PKDMP, 521B-10PKG, 521BXT-10PKG, 521BXT-DMP-10PKG, 528B, 528CRXT, 541C, 541C-10PKG, 541CXT, 541CXT-10PK and 548C. Customers should immediately contact their security or fire system provider to determine if any of their units are included in the recall. If so, they will receive free replacement and free installation of new smoke detectors. Consumers should not take the alarms out of service until the replacement alarm has been installed. Only professional installers should remove and replace these units. Alarm system, security equipment and electrical equipment contractors, dealers and installers for use in fire alarm systems for commercial buildings, hotels/motels, apartments, dormitories and homes from March 2013 to February 2014. The cost of the individual detectors varies between $30 and $50. The cost of the integrated alarm or security systems varies greatly. UTC Fire & Security Americas Corporation Inc, of Arden Hills, Minn. owns the Interlogix assets. Edwards assets were acquired by Walter Kidde Portable Equipment Inc., of Mebane, N.C. in January 2014. Both importers are units of United Technologies Corp., of Hartford, Conn.
Fyrnetics Limited of Hong Kong, China.